High-capacity clip with built-in hanging hole lets you get a grip on large stacks of paper. Durable riveted construction. 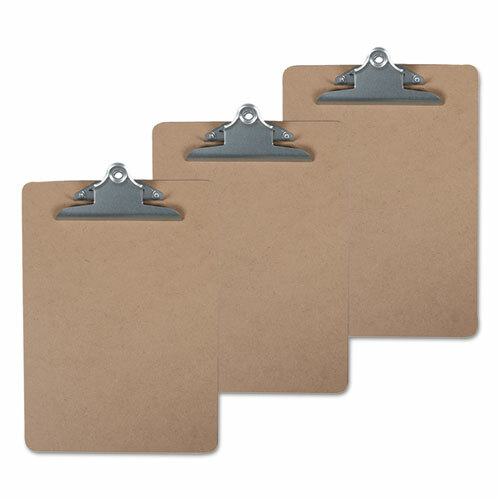 Holds Paper Size: 8 1/2 x 11; Clipboard Actual Size: 9w x 12 1/2h; Clipboard Material: Hardboard; Clip Capacity: 1 1/4 inch.